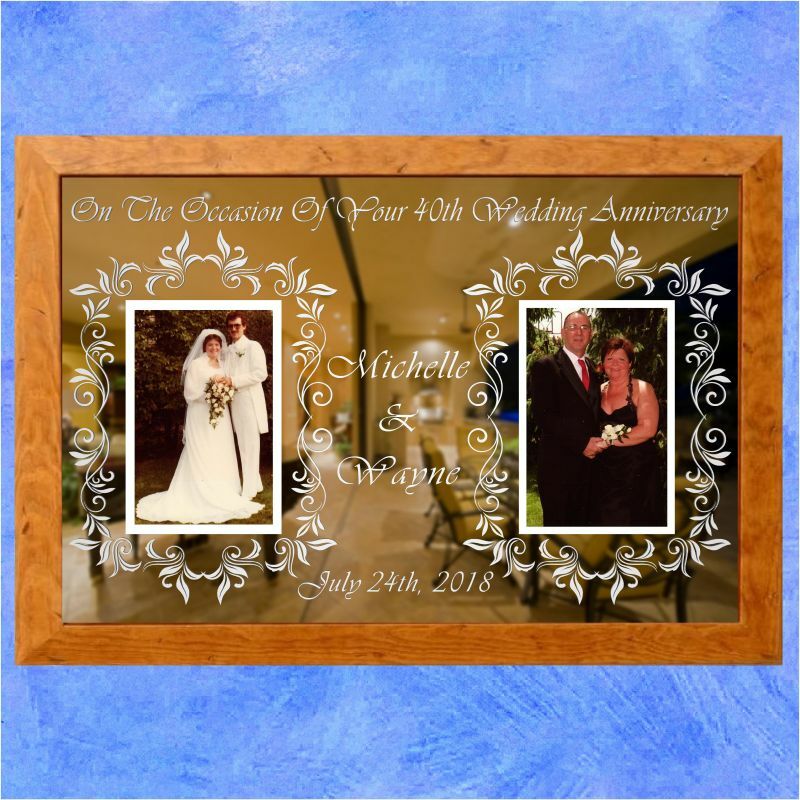 'I Love You Now As I Loved You Then' adds a design with a floral theme to our catalogue of etched mirror wedding anniversary gifts. 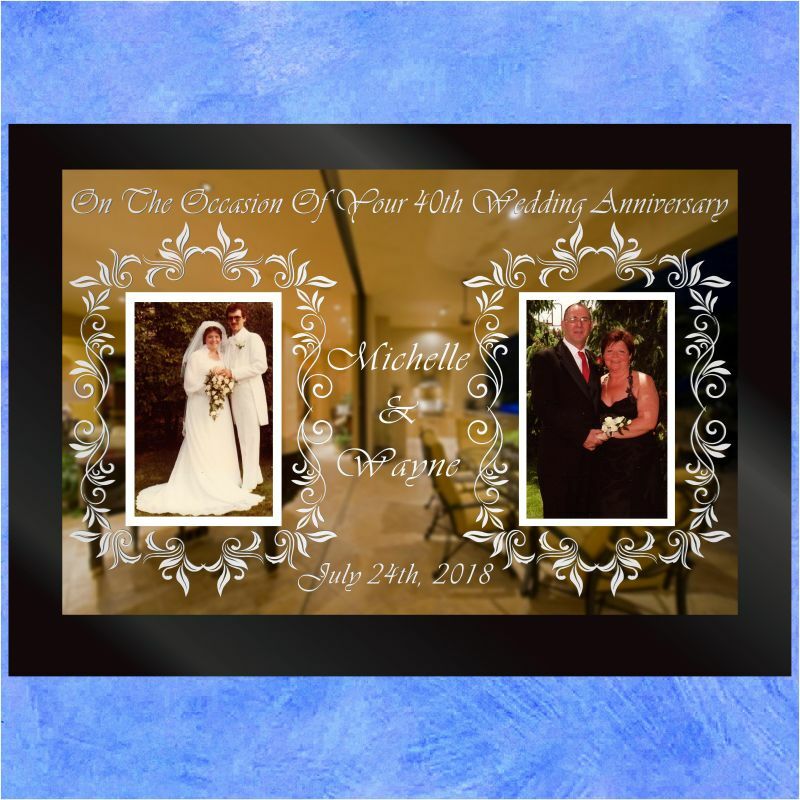 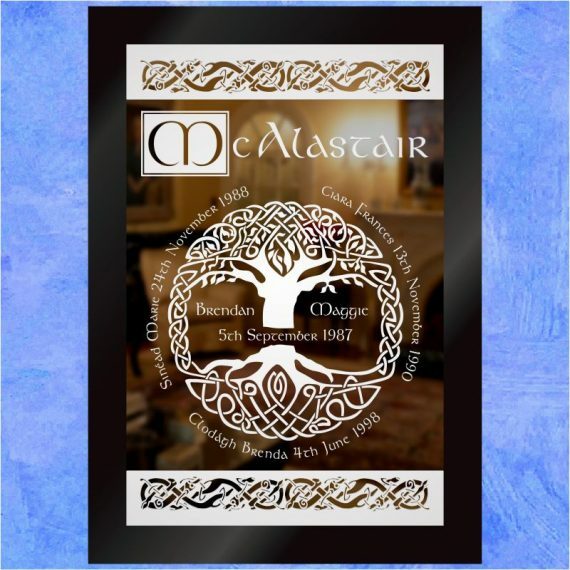 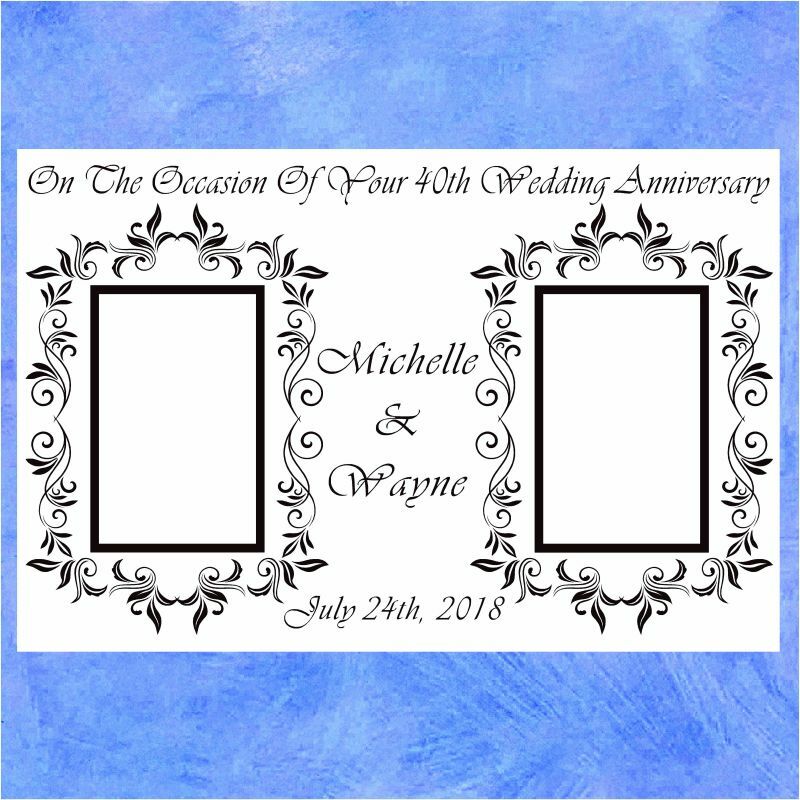 Using two photos (which can be uploaded during ordering below and fitted by us, or easily added after your order arrives when the pictures are available), this design has a flowery theme to it which is enhanced by the beautiful flowing script we've chosen to use. 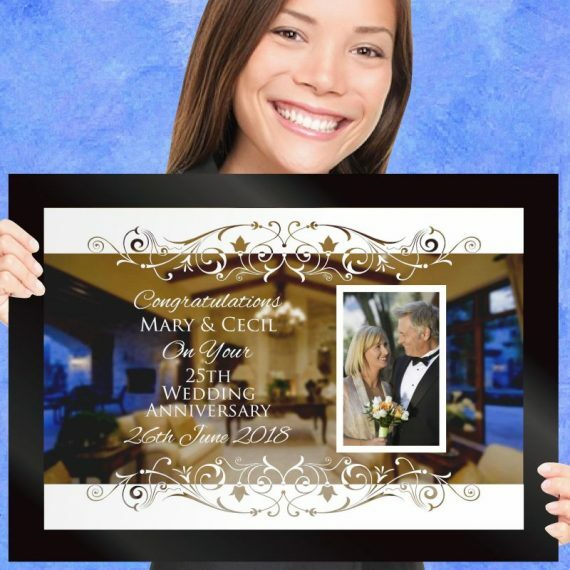 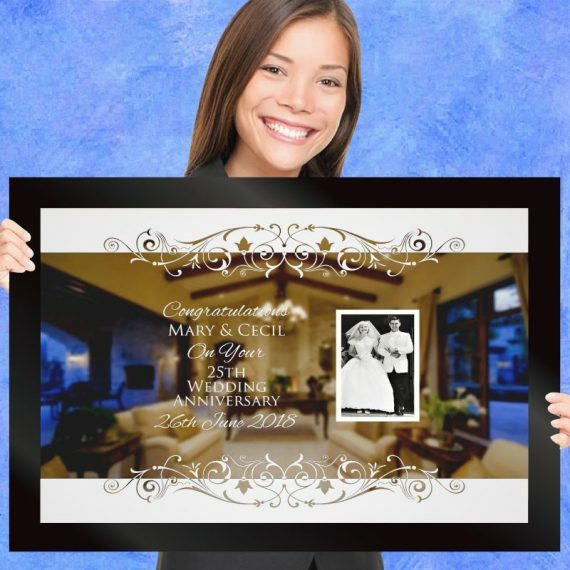 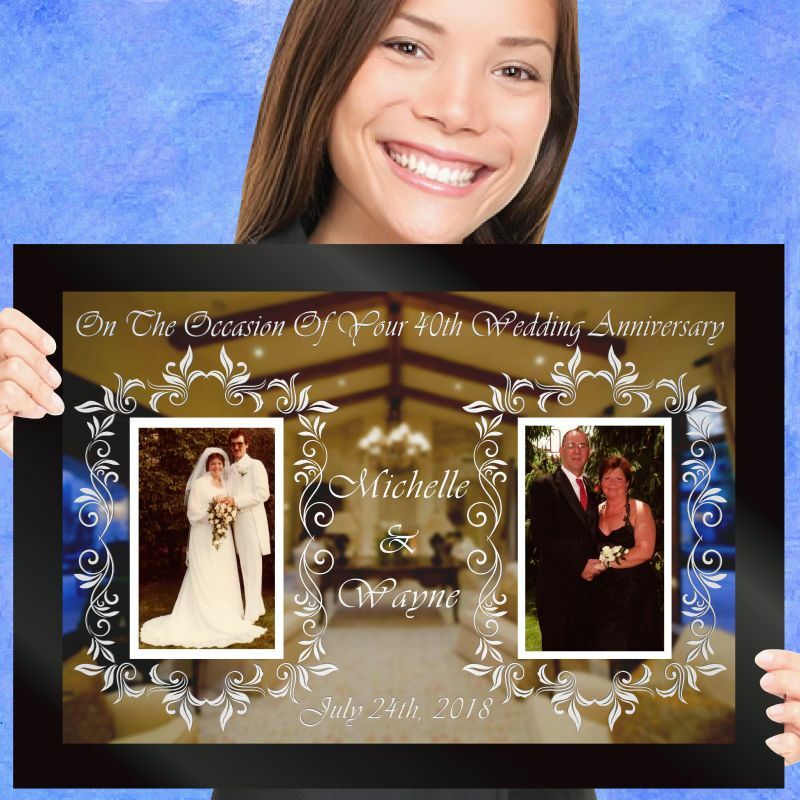 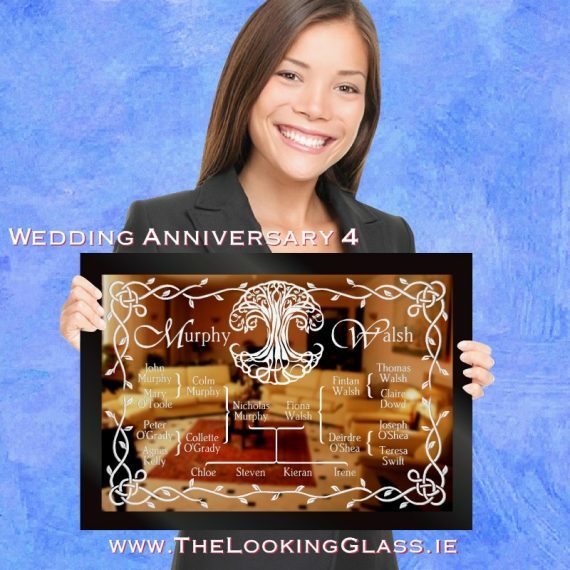 We change the text to Ruby, Golden, 25th or any of the other wedding landmarks so that your gift is completely unique and personalized for your parents.